When I was first diagnosed I was relieved to have that diagnosis and then I was pleased that I had the name and could now fight against it and get rid of it. After all hadn't I been taught that I could achieve anything I put my mind to or put effort into? Also haven't we all heard of the amazing recoveries made by people with debilitating illnesses? 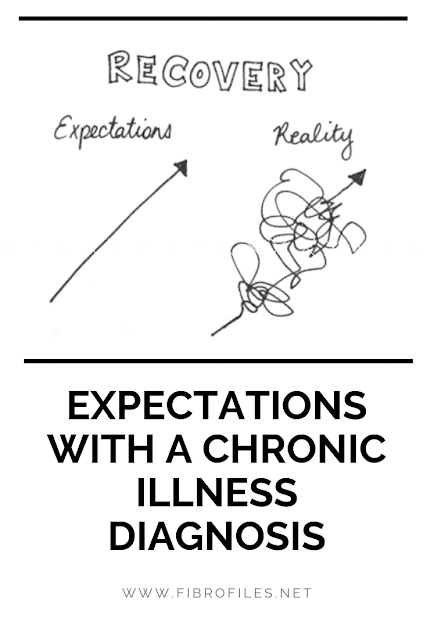 But unfortunately that was not the reality with this illness. I was a healthy person all my life. I had always eaten a healthy diet so it made some sense to me that trying this diet or cutting out sugar or losing weight or whatever was touted as the latest culprit would help me get rid of what ailed me. This went on for years. It was a long and drawn out bargaining with myself... If I tried this I would get better and so I went to dietitians, hospital obesity clinics and cutting edge allergy clinics, read many health books and tried many eating plans. I had good willpower but nothing stopped the fatigue, the stiffness and the muscle pain very much. Plus I could not lose weight and feelings of worthlessness crept in. Then there was exercise - surely this must help. But alas no, the fatigue on attempting walking or swimming or biking was too great. This was disconcerting, to say the least, as I had always been fit and had been a ballet dancer and dance teacher for many years. Then I tried pilates and also yoga which many people told me was so good for them but for me it was just a world of humiliating pain as things I could previously do, like standing up from the floor, became more and more difficult. My muscle tone did not improve and neither did I build up strength. Self management is considered an essential part of chronic illness by doctors. 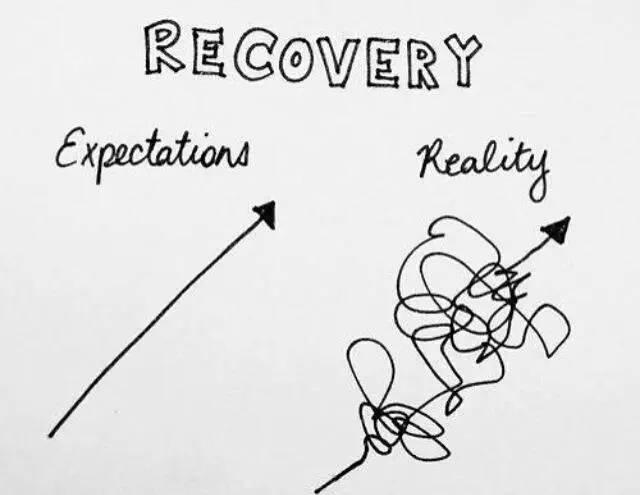 This is probably difficult for most people in chronic pain or those with other ongoing conditions as we feel overwhelmed especially early on. 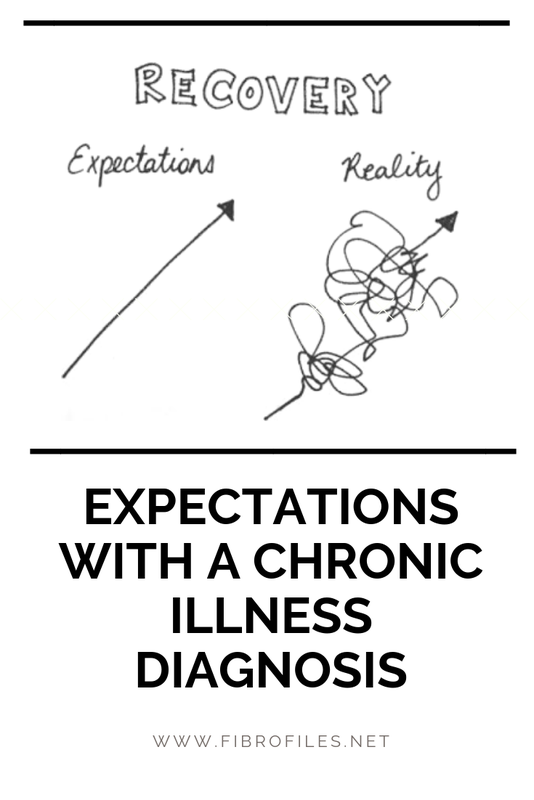 I think it took quite a while - years even - for me to accept that this chronic illness was here to stay and that this doctor or that new medication was not going to take it away. It was only when I accepted that this was my new reality that I could begin to improve small things in my life and look after myself. This set off a new bout of depression and grieving for the life I use to have and all the things I could no longer do like going out dancing, or going for long bush walks. Also you become mentally tired of always thinking about the disease and thinking of ways to help yourself, reading and researching. And you are just plain tired - all the time. I think there was a period of stagnating and waiting to have the mental fortitude to begin again. The losses and the sadness they cause never go away completely - I think they are just now accepted as part of my new normal. Having an online community of people who understand is a great comfort. I will be 65 in June and was diagnosed 25 years ago. I still try this or that and think THIS will be the one. It is horrible and the pain is debilitating. What's worse is you have one good day and the world thinks U R lying! I hear you KC and thanks for chimimng in and letting me know that someone read this! I so agree that one good day or week or month and people think you are cured. HECK I start to believe it myself and then whammo the pain and fatigue start again for no particular reason. So sorry to hear you have been living in pain for 25 years plus. Stay strong. What you have described above is actually what I'm doing and thinking at the minute, even though deep down I know diet and exercise is not going to do anything but I willing to try anything. Then when your a Christian, you get all kinds of people telling you that God healed so n so from fibromyalgia. Then they look at you like their saying are you not believing or are you in sin. That will really strike your heart strings. God allowed this in my life to help other women put your guard up against there horrible remarks and you are more than a conqueror through are Lord and Savior. Sometimes you have to choose who you communicate with about this horrible pain. Even my own family, outside of my home, I can't talk to them about it. They'll change the subject real quick, they've already told me I brought it on myself, ya right I said fibro and RA come over here and keep me company. Have a blessed day and always know your not the only one going through this. I find what helps me get my mind off myself, is to pray for other woman going through worse pain I'm going through at the time. God speed for your health, got to go feeling real sleepy, and its not even bedtime. Dear Gayle, thank you so much for your kind words. We are not crazy, we did not ask for this and we did not ask for other people's judgement. Also I just do not understand so called religious people who judge others. I do agree with you about choosing who I let know about my condition. I love how you prayer for others. The main thing that I have learnt from chronic illness is to never judge others because you just do not know what others are enduring. Best wishes to you.